Earlier today, I received a comment from @RyanMeray on twitter, and on my blog post PPTP VPN, dd-wrt and private DNS resolution. Ryan’s transfer bandwidth across the VPN is 150Kbps, despite having upstream bandwidth of 4Mbps – and he wondered what my experience was. I’d not noticed things being slow, but I hadn’t ever checked. I don’t know what work’s upstream bandwidth is these days, but I’m on a contended 50Mbps cable service at home and I wondered whether I could max out the CPU on the router (which I’ve now upgraded to a Cisco Linksys E3000). The CPU is a 480MHz Broadcom chip, which is reasonably fast – but is the same chip as Ryan’s ASUS RT-N16. So it seems unlikely that this is what’s causing his VPN bandwidth to be clipped to 150Kbps. I’d be interested in gathering more data – so if you’re using the dd-wrt pptp client, please comment with your maximum throughput, router model, CPU speed and CPU utilisation. Thanks! 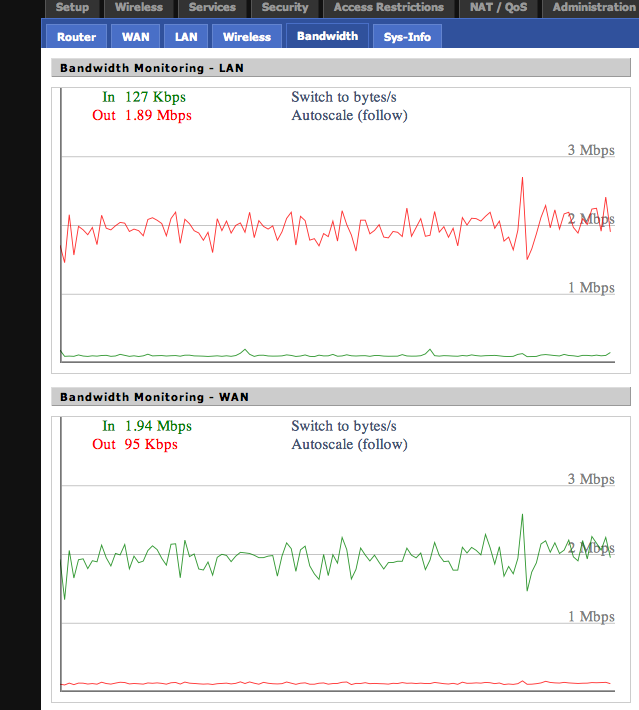 i have a Asus N16 running dd-wrt, and vpn over ipsec with xauth. 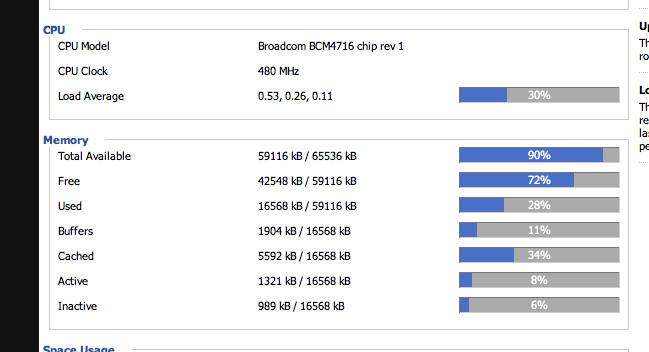 I can only get 5Mbit/5Mbit on the vpn connection to beevpn. i have really tested alot of things, and the only thing to conclude is that dd-wrt on a 480Mhz cpu, cant do speeds higher than this. I have exactly the same problem. Max throughput over pptp vpn is clipped at 20KB per sec., even though I have a 50Mbit / 4Mbit connection, should be more like 400KB per sec ? Ryan, I’ll drop you a mail. Much thanks for looking into this! I’m running a combination of hardware between the office and home. I detailed some of it in my struggles to get PPTP to function correctly at all on the DDWRT forums. I have a feeling this is just another wrinkle I’ll have to iron out. Are you using the PPTP client mode in the Services section or the PPTP mode in the WAN config? I’d really love to compare settings screenshots with someone who has a good, working PPTP setup.